Below is the range of new tractors and farm machinery that we sell, to request a brochure or pricing on any of our products you can give us a call or send us a message through the 'Contact Us' section. With over 160 years of innovation and experience, Massey Ferguson is one of the world's leading tractor brands, and still growing! Massey Ferguson's current ranges are shown below, click on each image to go straight to the Massey Ferguson website, where you can finds lots more information on our tractors. There is 0% finance available on all new Massey Ferguson tractors, subject to terms & conditions. Our Sales team can be contacted by phone, email, FB or from the 'Contact Us' section here on our website. The MF3600 Series consists of rugged power and quick, agile manoeuvrability. These tough little machines have been designed to tackle the widest range of agricultural, specialist and municipal tasks simply, cost-effectively and in a spacious, comfortable working environment. 4 models ranging from 76 to 102HP. The MF5600 Series has been purpose built for this sector, offering a choice of three different models, designed on a practical range of powers. The compact, pioneering 85 to 105HP, 3.3 litre three-cylinder engines are fitted to all models. They are designed to deliver high performance from early dawn to late into the night, equipped with a high-quality, spacious work environment with a wide range of effortless and automated controls, to help you get the job done quickly and efficiently. 3 models available ranging from 85 to 105HP. Building on the legacy of the MF5600 Series, the first standard tractor fitted with tyres to reach the South Pole on 9th December 2014, the MF5700SL takes a step forward as the sector benchmark for engine power, visibility, versatility and extreme reliability in all conditions! With its upgraded design, high performance and driveline, high levels of comfort and wide choice of equipment and options- it's truly the ultimate go-anywhere, do-anything tractor! 4 models available, ranging from 100 to 130HP. Welcome to the "S Effect" from Massey Ferguson! Winner of "Machine of the Year 2017". Massey Ferguson's new MF6700S Series has a number of enhancements and upgrades compared to it's predecessor - the MF6600 Series. The MF6700S blends all the benefits of a 4-cylinder machine- compact dimensions, low overall weight and good manoeuvrability - with the pulling, pushing and lifting power to match a comparable 6-cylinder tractor. 6 models available ranging from 120 to 200HP. The new MF7700 Series has been specifically designed to meet the needs of your farming professionals, whatever your business environment and operations, from mixed farming to arable and contracting businesses. With a wide choice of power, transmissions, cab specifications, hydraulics and PTO options, the MF7700 can be adapted to your every demand. Did you know Massey Ferguson also have a range of Mowers, Rakes, Tedders, Balers and Combines, and Materials-Handling and Grounds Care equipment? Check out www.masseyferguson.com for the complete product range! Check out www.krone-UK.com for more information on Krone Machinery, or to request a brochure just give us a call. Trioliet is a family owned company, operating since 1950. Trioliet is unique as a complete provider of premium feeding machines for dairy farms. All of their machines are geared towards helping the modern livestock farmer manage a farm efficiently. 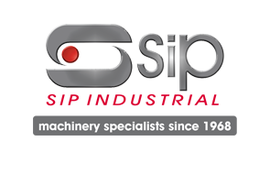 Their range consists of Sileage Cutters, Diet Feeders, Self-loading or Self-propelled Mixer Feeders and Complete Automatic Feeding Systems. Check out www.trioliet.com for more info on their machines. Alo is one of the world's leading suppliers in the agricultural machinery industry. They have been developing and manufacturing top-quality front-end loaders and associated implements since 1949. Alo manufacture their loaders under 2 brands- "Quicke" and "Trima", both brands offer the same basic high quality, but with different profiles, so the customer can choose the loader which best optimizes their tractor and business. They also manufacture a range of loader implements, under the brand "Original Implements"- which includes bale implements, sileage implements, buckets, forks, lifting implements and accessories. Check out www.alo.se for more information. Prodig Attachments are an Irish, family-run business based in Carlow, set up by two brothers with over 20 years experience in both the agricultural and construction attachment industry. They have gained a high reputation as a quality manufacturer of attachments, their products are built using high quality components, making them robust, reliable and easy to maintain. We have been selling Prodig Attachments products for a few years now and they have become very popular among our customers, and have lived up to their high-quality reputation. They offer a range of products including buckets, grabs, shear grabs, bale handlers, forks, pro-sweepers, bag fillers, quick hitches, land rakes and brackets. Check out www.prodigattachments.com for more info. Rossmore Engineering are another Irish company, based in Cashel, Co. Tipperary. They have been manufacturing agricultural equipment for the farming industry since 1980. The company has a close link with the farming community and in that way can keep in touch with market needs and develop their products accordingly. Rossmore Engineering has gained an excellent reputation for product reliability and quality. They offer a range of equipment such as front loaders, implements, vacuum tankers, agitators, conditioners, hoists and feeders. Check out www.rossmoreeng.ie for more info. We are a stockist of DRAPER tools-DRAPER offer a huge range of tools and equipment on both a professional and consumer level, with industry-specific ranges tailored to the specific needs of that industry, such as electrical, agricultural and workshop. Whatever tools or equipment you're looking for, give us a call to see if we can supply it for you. Check out www.drapertools.com to see their full product ranges and check out our online shop section to see what special offers we have on DRAPER tools.